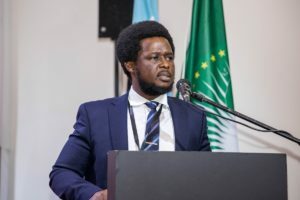 The Anti-Corruption Commission (ACC) has on 27th March, 2019, indicted the Director of Surveys and Lands at the Ministry of Lands, Country Planning and the Environment. According to a press statement issued yesterday by the ACC, Christian Harold Abioseh Pratt of B40 Cantonment Road, Brookfields, Freetown, was indicted on one count of Abuse of Office contrary to Section 42(1) of the Anti-Corruption Act No.12 of 2008. Pratt was accused of using his office to Improperly Confer an Advantage to a non-deserving person. The particulars of offence states that, between the 1st day of July 2017 and the 18th day of July 2017, Pratt used his office to improperly confer an advantage on Martin Torto, alias Junior Bio, to wit: instructed and authorized one Abu Bakarr Magid-Sesay to prepare a report unlawfully and conferring a beneficial interest in State land on Torto. The press release from the ACC stated that Pratt is expected to make his maiden appearance at the High Court of Sierra Leone Holden in Freetown on 10th April, 2019. Meanwhile, the Commission reassures the public of its commitment to controlling corruption at all times.